This article is about the city in Scotland. For other uses, see Aberdeen (disambiguation). "Aberdeen City" redirects here. For the band, see Aberdeen City (band). "Granite City", "Grey City", "Silver City", and "Silver City with the Golden Sands"
Aberdeen (/ˌæbərˈdiːn/ ( listen); Scots: Aiberdeen, listen (help·info); Scottish Gaelic: Obar Dheathain [opəɾ ˈɛ.ɛɲ]; Latin: Aberdonia) is a city in northeast Scotland. It is Scotland's third most populous city, one of Scotland's 32 local government council areas and the United Kingdom's 37th most populous built-up area, with an official population estimate of 196,670 for the city of Aberdeen and 228,800 for the local council area. 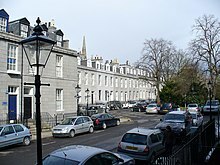 During the mid-18th to mid-20th centuries, Aberdeen's buildings incorporated locally quarried grey granite, which can sparkle like silver because of its high mica content. Since the discovery of North Sea oil in the 1970s, Aberdeen has been known as the off-shore oil capital of Europe. The area around Aberdeen has been settled for at least 8,000 years, when prehistoric villages lay around the mouths of the rivers Dee and Don. The city has a long, sandy coastline and a marine climate, the latter resulting in chilly summers and mild winters. Aberdeen received Royal burgh status from David I of Scotland (1124–1153), transforming the city economically. 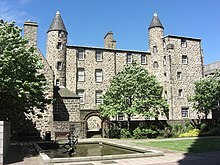 The city's two universities, the University of Aberdeen, founded in 1495, and Robert Gordon University, which was awarded university status in 1992, make Aberdeen the educational centre of the north-east of Scotland. The traditional industries of fishing, paper-making, shipbuilding, and textiles have been overtaken by the oil industry and Aberdeen's seaport. Aberdeen Heliport is one of the busiest commercial heliports in the world and the seaport is the largest in the north-east of Scotland. Aberdeen hosts the Aberdeen International Youth Festival, a major international event which attracts up to 1000 of the most talented young performing arts companies. 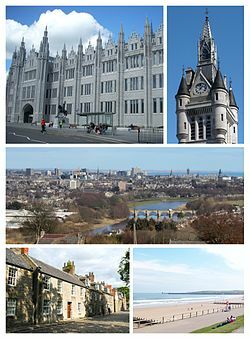 In 2015, Mercer named Aberdeen the 57th most liveable city in the world, as well as the fourth most liveable city in Britain. In 2012, HSBC named Aberdeen as a leading business hub and one of eight 'super cities' spearheading the UK's economy, marking it as the only city in Scotland to receive this accolade. In 2018, Aberdeen was found to be the best city in the UK to start a business in a study released by card payment firm Paymentsense. The Aberdeen area has seen human settlement for at least 8,000 years. The city began as two separate burghs: Old Aberdeen at the mouth of the river Don; and New Aberdeen, a fishing and trading settlement, where the Denburn waterway entered the river Dee estuary. The earliest charter was granted by William the Lion in 1179 and confirmed the corporate rights granted by David I. In 1319, the Great Charter of Robert the Bruce transformed Aberdeen into a property-owning and financially independent community. Granted with it was the nearby Forest of Stocket, whose income formed the basis for the city's Common Good Fund which still benefits Aberdonians. During the Wars of Scottish Independence, Aberdeen was under English rule, so Robert the Bruce laid siege to Aberdeen Castle before destroying it in 1308, followed by the massacring of the English garrison. The city was burned by Edward III of England in 1336, but was rebuilt and extended. The city was strongly fortified to prevent attacks by neighbouring lords, but the gates were removed by 1770. During the Wars of the Three Kingdoms of 1644 to 1647 the city was plundered by both sides. 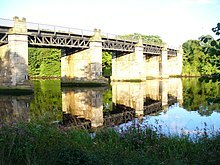 In 1644, it was taken and ransacked by Royalist troops after the Battle of Aberdeen and two years later it was stormed by a Royalist force under the command of the Marquis of Huntly. In 1647 an outbreak of bubonic plague killed a quarter of the population. In the 18th century, a new Town Hall was built and the first social services appeared with the Infirmary at Woolmanhill in 1742 and the Lunatic Asylum in 1779. The council began major road improvements at the end of the 18th century with the main thoroughfares of George Street, King Street and Union Street all completed at the beginning of the 19th century. During the Second World War Aberdeen was bombed quite badly especially on the 21 April 1943 when around 20 Luftwaffe bombers circled around Aberdeen. Because there were no planes at RAF leuchars they were all fighting in the Battle of Britain this meant that the bombers would simply fly back and forth around Aberdeen. 98 people died on that night and approximately 20,000 homes were destroyed during the bombing which caused severe damage to many different homes around the city. Aberdeen was in Pictish territory and became Gaelic-speaking at some time in the medieval period. Old Aberdeen is the approximate location of Aberdon, the first settlement of Aberdeen; this literally means "the mouth of the Don". The Celtic word aber means "river mouth", as in modern Welsh (Aberystwyth, Aberdare, Aberbeeg etc.). 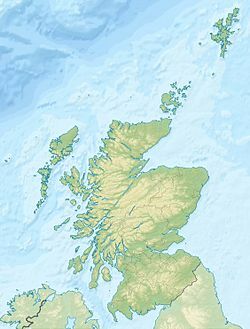 The Scottish Gaelic name is Obar Dheathain (variation: Obairreadhain; *obar presumably being a loan from the earlier Pictish; the Gaelic term is inbhir), and in Latin, the Romans referred to the river as Devana. Mediaeval (or Ecclesiastical) Latin has it as Aberdonia. Marischal College, home of Aberdeen City Council, Broad St.
Aberdeen is locally governed by Aberdeen City Council, which comprises forty-five councillors who represent the city's wards and is headed by the Lord Provost. The current Lord Provost is Barney Crockett. From May 2003 until May 2007 the council was run by a Liberal Democrat and Conservative Party coalition. 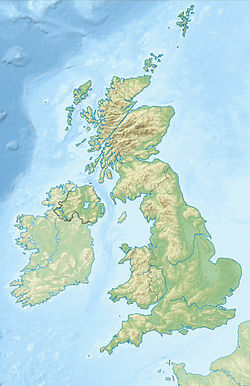 Following the May 2007 local elections, the Liberal Democrats formed a new coalition with the Scottish National Party. After a later SNP by-election gain from the Conservatives, this coalition held 28 of the 43 seats. Following the election of 4 May 2017, the council was controlled by a coalition of Scottish Labour, Scottish Conservatives and independent councillors; the Labour councillors were subsequently suspended by Scottish Labour Party leader, Kezia Dugdale. 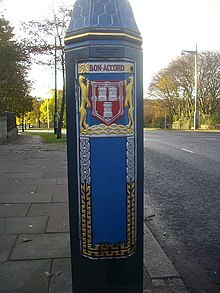 Bon Accord is the motto of the city and is French for "Good Agreement". Legend tells that its use dates from a password used by Robert the Bruce during the 14th-century Wars of Scottish Independence, when he and his men laid siege to the English-held Aberdeen Castle before destroying it in 1308. 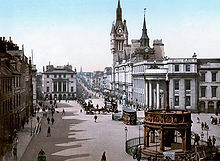 It is still widely present in the city, throughout street names, business names and the city's Bon Accord shopping mall. 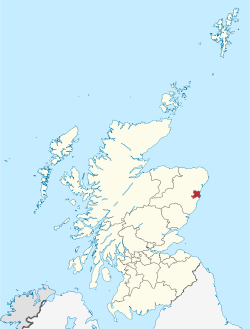 The city extends to 185.7 km2 (71.7 sq mi), and includes the former burghs of Old Aberdeen, New Aberdeen, Woodside and the Royal Burgh of Torry to the south of River Dee. In 2017 this gave the city a population density of 1,231. The city is built on many hills, with the original beginnings of the city growing from Castle Hill, St. Catherine's Hill and Windmill Hill. 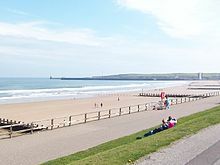 Aberdeen features an oceanic climate (Köppen Cfb). Aberdeen has far milder winter temperatures than one might expect for its northern location, although statistically it is the coldest city in the UK. During the winter, especially throughout December, the length of the day is very short, averaging 6 hours and 41 minutes between sunrise and sunset at winter solstice. As winter progresses, the length of the day grows fairly quickly, to 8 hours and 20 minutes by the end of January. Around summer solstice, the days will be around 18 hours long, having 17 hours and 55 minutes between sunrise and sunset. During this time of the year marginal nautical twilight lasts the entire night. Temperatures at this time of year will be typically hovering around 17.0 °C (62.6 °F) during the day in most of the urban area, though nearer 16.0 °C (60.8 °F) directly on the coast, and around 18.0 to 19.0 °C (64.4 to 66.2 °F) in the westernmost suburbs, illustrating the cooling effect of the North Sea during summer. In addition, from June onward skies are more overcast than in April/May, as reflected in a lower percentage of possible sunshine (the percentage of daylight hours that are sunny). 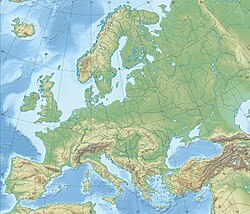 These factors render summer to be temperate and cool for the latitude, both by European standards and also compared to far inland climates on other continents, with those patterns being reversed during the mild and moderated winters. The 2011 census showed that there are fewer young people in Aberdeen, with 16.4% under 16, opposed to the national average of 19.2%. According to the 2011 census Aberdeen is 91.9% white, ethnically, 24.7% were born outside Scotland, higher than the national average of 16%. Of this population 7.6% were born in other parts of the UK. 8.2% of Aberdonians stated to be from an ethnic minority (non-white) in the 2011 census, with 9,519 (4.3%) being Asian, with 3,385 (1.5%) coming from India and 2,187 (1.0%) being Chinese. The city has around 5,610 (2.6%) residents of African or Caribbean origin, which is a higher percentage than both Glasgow and Edinburgh. St Machar's Cathedral was built twenty years after David I (1124–1153) transferred the pre-Reformation Diocese from Mortlach in Banffshire to Old Aberdeen in 1137. With the exception of the episcopate of William Elphinstone (1484–1511), building progressed slowly. Gavin Dunbar, who followed him in 1518, completed the structure by adding the two western spires and the southern transept. It is now a congregation of the Church of Scotland. 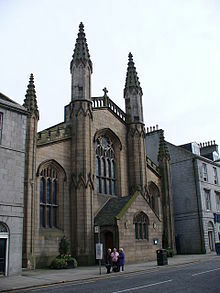 Aberdeen has two other cathedrals: St. Mary's Cathedral is a Roman Catholic cathedral in Gothic style, erected in 1859. In addition, St. Andrew's Cathedral serves the Scottish Episcopal Church. It was constructed in 1817 as Archibald Simpson's first commission and contains a memorial to the consecration of the first bishop of the Episcopal Church in the United States of America, which took place nearby. In 1804, St Peter's Church, the first permanent Roman Catholic church in the city after the Reformation was built. There is also a mosque in Old Aberdeen which serves the Islamic community in the city, and an Orthodox Jewish Synagogue established in 1945. There is also a Thai Buddhist temple located in the Hazelhead area of the city. 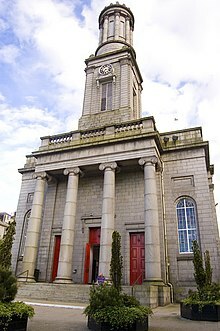 There are no formal Hindu buildings, although the University of Aberdeen has a small Bahá'í society and there is a fortnightly Hindu religious gathering in the 1st and 3rd Sunday afternoons at Queens Cross Parish church hall. 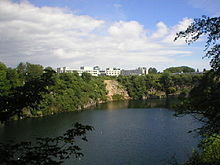 Rubislaw Quarry, opened in 1740, provided some six million tonnes of granite prior to its closure. Both the Houses of Parliament and the Forth Rail Bridge were constructed using its granite. As oil reserves in the North Sea decrease there is an effort to rebrand Aberdeen as "Energy Capital of Europe" rather than "Oil Capital of Europe", and there is interest in the development of new energy sources; and technology transfer from oil into renewable energy and other industries is under way. The "Energetica" initiative led by Scottish Enterprise has been designed to accelerate this process. As of 2013, Aberdeen remained a major world centre for undersea petroleum technology. Aberdeen City and Shire's Gross Domestic Product is estimated at over £11.4 billion, accounting for over 17% of the overall Scottish GDP. Five of Scotland's top ten businesses are based in Aberdeen with a collective turnover of £14 billion, yielding a profit in excess of £2.4 billion. Alongside this 29 of Scotland's top 100 businesses are located in Aberdeen with an employment rate of 77.9%, making it the 2nd highest UK city for employment. The traditional shopping streets are Union Street and George Street, now complemented by shopping centres, notably the Bon Accord & St Nicholas and the Trinity Shopping Centre. A £190 million retail development, Union Square, reached completion in late September/early October 2009. Major retail parks away from the city centre include the Berryden Retail Park, the Kittybrewster Retail Park and the Beach Boulevard Retail Park. Aberdeen's success in the Britain in Bloom competitions is often attributed to Johnston Gardens, a small park of one hectare in the west end of the city containing many different flowers and plants which have been renowned for their beauty. In 2002, the garden was named the best garden in the British Islands. Seaton Park, formerly the grounds of a private house, is on the edge of the grounds of St Machar's Cathedral. The Cathedral Walk is maintained in a formal style with a great variety of plants providing a popular display. The park includes several other areas with contrasting styles to this. Union Terrace Gardens opened in 1879 and is situated in the centre of the city. It covers 2.5 acres (1.0 ha) in the centre of Aberdeen bordered on three sides by Union Street, Union Terrace and Rosemount Viaduct. The park forms a natural amphitheatre located in the Denburn Valley and is an oasis of peace and calm in the city centre. A recent proposal to build a three-storey concrete and steel superstructure in place of the gardens, part of which will provide a commercial concourse, has proved highly controversial. Situated next to each other, Victoria Park and Westburn Park cover 26 acres (11 ha) between them. Victoria Park opened in 1871. There is a conservatory used as a seating area and a fountain made of fourteen different granites, presented to the people by the granite polishers and master builders of Aberdeen. Opposite to the north is Westburn Park opened in 1901. With large grass pitches it is widely used for field sports. There is large tennis centre with indoor and outdoor courts, a children's cycle track, play area and a grass boules lawn. Aberdeen Airport (ABZ), at Dyce in the north of the city, serves domestic and international destinations including France, Germany, the Netherlands, Spain, Belgium, Austria, Ireland and Scandinavian countries. The heliport which serves the oil industry and rescue services is one of the world's busiest commercial heliports. 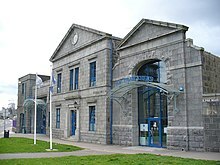 Aberdeen railway station is on the main UK rail network and Abellio ScotRail has frequent direct trains to major cities Edinburgh, Glasgow and Inverness. London North Eastern Railway and the Caledonian Sleeper operate direct trains to London. The station is being updated to bring it into the modern age.[when?] In 2007 additions were made and a new ticket office was built in the building. The UK's longest direct rail journey runs from Aberdeen to Penzance. It is operated by CrossCountry, leaving Aberdeen at 08:20 and taking 13 hours and 23 minutes. Today, all railway services to the south run via Dundee. The faster main line from Aberdeen to Perth via Forfar and Strathmore closed in 1967 as a result of the Beeching cuts, and the faster main line from Perth to Edinburgh via Glenfarg also subsequently closed in 1970. Until 2007, a 1950s-style concrete bus station at Guild Street served out-of-the-city locations; it has since transferred to a new and well-presented bus station just 100 metres to the east off Market Street as part of the Union Square development. There are six major roads in and out of the city. The A90 is the main arterial route into the city from the north and south, linking Aberdeen to Edinburgh, Dundee, Brechin and Perth in the south and Ellon, Peterhead and Fraserburgh in the north. The A96 links Elgin and Inverness and the north west. The A93 is the main route to the west, heading towards Royal Deeside and the Cairngorms. After Braemar, it turns south, providing an alternative tourist route to Perth. The A944 also heads west, through Westhill and on to Alford. The A92 was the original southerly road to Aberdeen prior to the building of the A90, and is now used as a tourist route, connecting the towns of Montrose and Arbroath and on the east coast. The A947 exits the city at Dyce and goes on to Newmachar, Oldmeldrum and Turriff finally ending at Banff and Macduff. After first being mooted some 60 years ago and being held up for the past five years by a number of legal challenges, Aberdeen's long-awaited Western Peripheral Route was given the go-ahead after campaigners lost their appeal to the UK Supreme Court in October 2012. The 30-mile (50 km) route was earmarked to be completed in 2018 and was hoped to significantly reduce traffic congestion in and around the city. Aberdeen Harbour is important as the largest in the north of Scotland and serves the ferry route to Orkney and Shetland. Established in 1136, the harbour has been referred to as the oldest business in Britain. 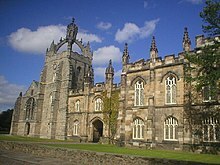 The University of Aberdeen began as King's College, Aberdeen, which was founded in 1495 by William Elphinstone (1431–1514), Bishop of Aberdeen and Chancellor of Scotland. Marischal College, a separate institution, was founded in "New" Aberdeen by George Keith, fifth Earl Marischal of Scotland in 1593. These institutions were merged by order of Parliament in 1860 to form the University of Aberdeen. The university is the fifth oldest in the English-speaking world and offers degrees in a full range of disciplines. Its main campus is in Old Aberdeen in the north of the city and it currently has approximately 14,000 students. The university's debating society is the oldest in Scotland, founded in 1848 as the King's College Debating Society. Today, Aberdeen is consistently ranked among the top 200 universities in the world and is ranked within the top 30 universities in the United Kingdom. 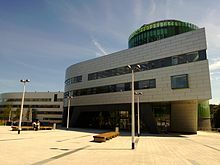 Aberdeen was also named the 2019 Scottish University of the Year by The Times and Sunday Times Good University Guide. Robert Gordon's College (originally Robert Gordon's Hospital) was founded in 1750 by the merchant Robert Gordon, grandson of the map maker Robert Gordon of Straloch, and was further endowed in 1816 by Alexander Simpson of Collyhill. Originally devoted to the instruction and maintenance of the sons of poor burgesses of guild and trade in the city, it was reorganised in 1881 as a day and night school for secondary and technical education. In 1903, the vocational education component of the college was designated a Central Institution and was renamed as the Robert Gordon Institute of Technology in 1965. In 1992, university status was awarded and it became Robert Gordon University. 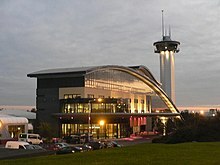 The university has expanded and developed significantly in recent years, and was named Best Modern University in the UK for 2012 by The Sunday Times. It was previously The Sunday Times Scottish University of the Year for 2011, primarily because of its record on graduate employment. The citation for the 2011 award read: "With a graduate unemployment rate that is lower than the most famous universities, including Oxford and Cambridge, plus a flourishing reputation for research, high student satisfaction rates and ambitious plans for its picturesque campus, the Robert Gordon University is The Sunday Times Scottish University of the Year". RGU had two campuses: one in the city centre at Schoolhill/St. Andrew Street and a larger suburban campus at Garthdee and currently has approximately 15,500 students. As of 2013, the Garthdee campus was expanded to include all schools, with the Schoolhill/St. Andrew Street campus being sold to Robert Gordon's College, and the building now functions as the school's Science and Technology Centre. The closure of the Schoolhill site includes the removal of the Student Union building, giving Aberdeen the dubious distinction of having two universities but no student bar. There are currently 12 secondary schools and 54 primary schools which are run by the city council. 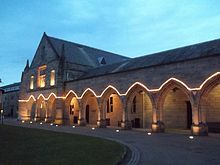 The most notable are Aberdeen Grammar School (founded in 1257), Harlaw Academy, Cults Academy, and Oldmachar Academy which were all rated in the top 50 Scottish secondary schools league tables published by The Times in 2005. Harlaw Academy was taken down from the list after a short time but is still a popular school. 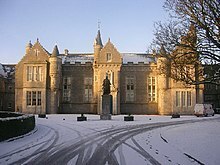 There are a number of private schools in Aberdeen: Robert Gordon's College, Albyn School for Girls (co-educational as of 2005), St Margaret's School for Girls, the Hamilton School (closed by the Child Care Inspectorate in early 2014), the Total French School (for French oil industry families), the International School of Aberdeen and a Waldorf/Steiner School. Primary schools in Aberdeen include Airyhall Primary School, Albyn School, Ashley Road Primary School, Balgownie Primary School, Broomhill Primary School, Cornhill Primary School (the city's largest), Culter Primary School, Cults Primary School, Danestone Primary School, Fernielea Primary school, Ferryhill Primary School, Gilcomstoun Primary School, Glashieburn Primary School, Greenbrae School, Hamilton School, Kaimhill Primary School, Kingsford Primary School, Kittybrewster Primary School, Middleton Park Primary School, Mile-End School, Muirfield Primary School, Robert Gordon's College, Skene Square Primary School, St. Joseph's Primary School and St Margaret's School for Girls. The city has a wide range of cultural activities, amenities and museums. The city is regularly visited by Scotland's National Arts Companies. The Aberdeen Art Gallery houses a collection of Impressionist, Victorian, Scottish and 20th-century British paintings as well as collections of silver and glass. It also includes The Alexander Macdonald Bequest, a collection of late 19th-century works donated by the museum's first benefactor and a constantly changing collection of contemporary work and regular visiting exhibitions. The Aberdeen region has given its name to a number of dishes, including the Aberdeen buttery (also known as "rowie") and Aberdeen Sausage. The Aberdeen buttery is more frequently seen and is sold at bakeries and supermarkets throughout the city. It is comparable to a croissant that is flat and round with a buttery, savoury taste and flaky texture. 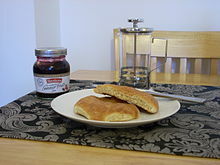 It is often toasted and served plain or with butter or jam. Aberdeen Lynx are an amateur ice hockey team who play in the Scottish National League and are based at the Linx Ice Arena. The arena has a seating capacity of 1,100. They were play-off champions in season 2015-2016. The club also field teams at the Under 20, Under 16, Under 14 and Under 12 age groups. In common with many other major towns and cities in the UK, Aberdeen has an active roller derby league, Granite City Roller Girls. The Aberdeen Roughnecks American football club are a new team which started in 2012. They are an adult contact team who currently train at Seaton Park. This is the first team which Aberdeen has enjoyed since the Granite City Oilers were wound up in the late 1990s. Aberdeen Oilers Floorball Club was founded in 2007. The club initially attracted a range of experienced Scandinavian and other European players who were studying in Aberdeen. Since their formation, Aberdeen Oilers have played in the British Floorball Northern League and went on to win the league in the 2008/09 season. The club played a major role in setting up a ladies league in Scotland. The Oilers' ladies team ended up second in the first ladies league season (2008/09). The public health service in Scotland, NHS Scotland provides for the people of Aberdeen through the NHS Grampian health board. Aberdeen Royal Infirmary is the largest hospital in the city and one of the largest in Europe (the location of the city's A&E department), Royal Aberdeen Children's Hospital, a paediatric hospital, Royal Cornhill Hospital for mental health, Aberdeen Maternity Hospital, an antenatal hospital, Woodend Hospital, which specialises in rehabilitation and long term illnesses and conditions, and City Hospital and Woolmanhill Hospital, which host several out-patient clinics and offices. Fire and rescue: This is the responsibility of the Scottish Fire and Rescue Service. Houston, Texas, is twinned with the former region of Grampian, of which Aberdeen is the largest settlement. John Michael Kosterlitz, physicist, professor of physics at Brown University. Awarded the Nobel Prize in physics in 2016. Laura Main, actress, best known for playing Sister Bernadette/Shelagh Turner in BBC's Call the Midwife. James Clerk Maxwell, Chair of Natural Philosophy at Marischal College, Aberdeen from 1856 to 1860. The pop music groups Danny Wilson and Royseven, as well as alternative rock group Cage the Elephant have all recorded songs called "Aberdeen". The Scottish Rock band The Xcerts released the song "Aberdeen 1987" on their debut album, In The Cold Wind We Smile, released on 30 March 2009. [better source needed] The first verse contains the line "15, sitting in a graveyard talking about their history". The graveyard referenced in the song is the graveyard of the Kirk of St Nicholas, on Union Street. ^ Weather station is located 5 miles (8 km) from the Aberdeen city centre. ^ Weather station is located 6 miles (10 km) from the Aberdeen city centre. ^ a b c d "Mid-2012 Population Estimates for Settlements and Localities in Scotland". Government of the United Kingdom. 31 May 2013. Retrieved 25 November 2015. ^ "UNITED KINGDOM: Countries and Major Urban Areas". citypopulation.de. Retrieved 2 December 2018. ^ "The Granite City". Aberdeen and Grampian Tourist Board. Archived from the original on 9 May 2008. Retrieved 16 December 2016. ^ "About Aberdeen". University of Aberdeen. Archived from the original on 5 February 2007. Retrieved 8 February 2007. ^ a b "Welcome to Aberdeen". Aberdeen Accommodation Index. Retrieved 19 February 2007. ^ "The old burghs of Aberdeen". Aberdeen Civic Society. Archived from the original on 12 August 2011. Retrieved 19 August 2011. ^ a b "Flights delayed as climate protesters invade Aberdeen airport". The Daily Telegraph. 3 March 2009. Retrieved 7 June 2017. ^ "Architecture of Aberdeen, Scotland". Archived from the original on 9 June 2007. Retrieved 23 May 2007. ^ "2012 Quality of Living survey". Mercer.com. 4 March 2015. Retrieved 8 December 2015. ^ "Aberdeen named among 'Supercities' by HSBC". BBC News. 19 October 2012. Retrieved 19 October 2012. ^ Keith Findlay (8 January 2018). "Why the Granite City is the best place to launch new business". The Press and Journal. ^ a b Keith, Alexander (1987). A Thousand Years of Aberdeen. Aberdeen University Press. ^ a b Fraser, W. Hamish (2000). Aberdeen, 1800 to 2000: A New History. Edinburgh: Tuckwell Press. ^ Henderson, Thomas Finlayson (1890). "Gordon, George (d.1649)" . In Stephen, Leslie; Lee, Sidney (eds.). Dictionary of National Biography. 22. London: Smith, Elder & Co. pp. 190–194. ^ Charnock, Richard Stephen (1859). Local Etymology: A Derivative Dictionary of Geographical Names. Houlston and Wright. ^ "Aberdeen Labour's Jenny Laing named council leader, Barney Crockett Lord Provost". Evening Express. Retrieved 8 June 2017. ^ "Lib Dems and SNP in Aberdeen deal". BBC News. 14 May 2007. ^ "Aberdeen City Councillors". Aberdeen City Council. Archived from the original on 11 February 2007. Retrieved 8 February 2007. ^ "Labour councillors in Aberdeen suspended over Tory coalition". BBC News. 17 May 2017. Retrieved 8 June 2017. ^ Gazetter for Scotland. "Aberdeen City". Retrieved 15 May 2007. ^ "Bon Accord & St Nicholas – Bon Accord & St Nicholas". bonaccordandstnicholas.com. Archived from the original on 26 October 2008. Retrieved 17 October 2015. ^ "Aberdeen Official Guide". Aberdeen City Council. Archived from the original on 18 February 2007. Retrieved 17 February 2007. ^ Gazetter for Scotland. "Details of Aberdeen City". Retrieved 10 April 2007. ^ "Aberdeen City". The Gazetteer for Scotland. Retrieved 20 February 2007. ^ a b "Sunrise and sunset for Aberdeen". Sunrise and Sunset. Retrieved 27 October 2015. ^ "July temp map". MetOffice. Archived from the original on 5 March 2012. ^ "What Is The Fohn Effect?". BBC Weather. Retrieved 28 February 2012. ^ "Climate Aberdeen / Dyce (March 2012) – Climate data (30910)". Retrieved 16 December 2016. ^ Ltd, Copyright Global Sea Temperatures - A-Connect. "Aberdeen Water Temperature - United Kingdom - Sea Temperatures". World Sea Temperatures. ^ "Craibstone 1981–2010 averages". Met Office. Retrieved 21 March 2019. ^ "Indices Data - Craibstone Station 1629". KNMI. Retrieved 21 March 2019. ^ "Aberdeen Airport 1981–2010 averages". Met Office. Retrieved 21 March 2019. ^ "Aberdeen Airport climate normals 1961–1990". Met Office. Retrieved 2 April 2019. ^ "Indices Data - Aberdeen Dyce Station 1825". KNMI. Retrieved 21 March 2019. ^ "Data Documentation". Archived from the original on 7 September 2008. Retrieved 15 May 2007. ^ "Aberdeen Population". Archived from the original on 20 January 2008. Retrieved 19 February 2007. ^ a b Aberdeen City Council. "2001 Census: Key Statistics – Aberdeen City". Archived from the original on 28 April 2010. Retrieved 28 February 2007. ^ a b c "Aberdeen City Council – 2011 Census Release 2". Archived from the original on 5 March 2017. Retrieved 16 December 2016. ^ "Comparative Household Profile: Aberdeen City Council Area, Scotland". Archived from the original on 27 September 2007. Retrieved 21 February 2007. 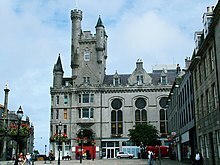 ^ Aberdeen City Council. "Low Income Households in Aberdeen". Archived from the original on 27 September 2007. Retrieved 12 March 2007. ^ "Scottish homes market view 2008". The Times. London. 28 September 2008. ^ "Aberdeen Hindu Association". Archived from the original on 22 June 2017. Retrieved 12 January 2019. ^ "Water pumping work starts at Rubislaw Quarry in Aberdeen". BBC News. 17 August 2012. Retrieved 18 October 2012. ^ "Aberdeen Harbour: A History of Service". Aberdeen Harbour Board. Archived from the original on 3 April 2007. Retrieved 18 February 2007. ^ "History and Background". Rowett Research Institute. Archived from the original on 29 December 2006. Retrieved 1 February 2007. ^ "A Scientist's guide to Scotland". New Scientist. Archived from the original on 2 February 2014. Retrieved 9 May 2013. ^ "A burst of energy in Europe's oil capital". BBC News. 12 November 2003. ^ Stanley Reed (28 July 2013). "Aberdeen, a City With One Foot on the Seafloor". The New York Times. Retrieved 29 August 2013. ^ "Aberdeen 'best-placed city for growth' in Britain". BBC News. Retrieved 18 October 2012. ^ "Record rise in North Sea oil and gas investment expected". The Daily Telegraph. Retrieved 3 August 2013. ^ "Construction gets underway for new GDF Suez E&P UK Aberdeen premises". GDF Suez E&P. Archived from the original on 30 August 2017. Retrieved 3 August 2013. ^ "Invest Aberdeen Facts & Figures". Aberdeen Invest Live Visit. Archived from the original on 14 October 2013. Retrieved 21 September 2013. ^ "Anti-gravity machine among inventions making Aberdeen a leader in patents race". Evening Express. Retrieved 2 February 2016. ^ "Council leader welcomes Union Square proposals". 27 September 2007. Archived from the original on 27 September 2007. Retrieved 30 October 2018. ^ "Aberdeen Fairtrade". Aberdeenfairtrade.org.uk. Archived from the original on 25 December 2009. Retrieved 25 June 2009. ^ "Overview of Town House". University of Edinburgh. Retrieved 25 June 2009. ^ "Overview of Marischal College". University of Edinburgh. Retrieved 25 June 2009. ^ a b c d e "Floral Capital of Scotland". British Publishing. 20 February 2007. Archived from the original on 1 April 2007. ^ Simpson, Maureen (22 September 2006). "We're top of Brit parade". Press and Journal. Archived from the original on 29 September 2007. ^ "2006 winners". Royal Horticultural Society. Archived from the original on 29 September 2007. Retrieved 8 February 2007. ^ "Aberdeen's blooming success goes worldwide". Press and Journal. 28 December 2006. Archived from the original on 22 December 2004. ^ "Aberdeen Tivoli Theatre Website". Aberdeentivoli.net. Archived from the original on 23 July 2011. Retrieved 25 August 2011. 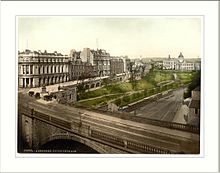 ^ "Aberdeen Theatres and Halls". Arthurlloyd.co.uk. 13 March 2004. Retrieved 25 August 2011. ^ "Aberdeen bypass set to proceed after Supreme Court appeal rejected". BBC. 17 October 2012. Retrieved 28 December 2012. ^ "It's a fact: 50 things you may not have known about Aberdeen". Aberdeen Official Guide. Archived from the original on 7 December 2006. Retrieved 15 February 2007. ^ "www.firstgroup.com The History of 395 King Street 1862–2007". FirstGroup. 20 January 1989. Retrieved 25 June 2009. ^ a b c d e f Hoiberg, Dale H., ed. (2010). "Aberdeen". Encyclopædia Britannica. I: A-ak Bayes (15th ed.). Chicago, IL: Encyclopædia Britannica Inc. pp. 27–28. ISBN 978-1-59339-837-8. ^ "Comparative Education Profile: Aberdeen City Council Area, Scotland". Archived from the original on 27 September 2007. Retrieved 21 February 2007. ^ Carter, Jennifer (1994). Crown and Gown: Illustrated History of the University of Aberdeen, 1495–1995. Aberdeen: Aberdeen University Press. ^ "Aberdeen University Debater". Aberdeen University Debater. Archived from the original on 17 September 2013. Retrieved 13 February 2013. ^ "University of Aberdeen Rankings". 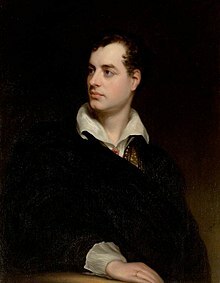 Quacquarelli Symonds. Retrieved 4 September 2015. ^ "Top UK University League Tables and Rankings 2019". Retrieved 12 July 2018. ^ "University Guide 2016 - The Times". nuk-tnl-editorial-prod-staticassets.s3.amazonaws.com. Retrieved 26 September 2018. ^ "University of Aberdeen named Scottish University of the Year | News | The University of Aberdeen". 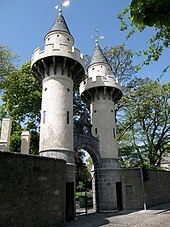 www.abdn.ac.uk. Retrieved 21 September 2018. ^ "Aberdeen Maritime Museum". Aberdeen Art Galleries and Museums. Archived from the original on 2 February 2007. Retrieved 18 February 2007. ^ "Aberdeen Culture". Aberdeen City Council. Archived from the original on 28 March 2017. Retrieved 27 March 2017. 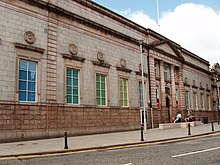 ^ "Aberdeen Art Gallery". Aberdeen Art Galleries and Museums. Archived from the original on 6 December 2006. Retrieved 18 February 2007. ^ "Provost Ross' House". The Gazetteer for Scotland. Retrieved 18 February 2007. 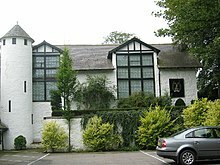 ^ "The Gordon Highlanders Museum". Army Museums Ogilby Trust. Archived from the original on 26 September 2006. Retrieved 18 February 2007. ^ "Marischal Museum: Introduction". University of Aberdeen. Archived from the original on 7 February 2007. Retrieved 18 February 2007. ^ "Marischal Museum. Visiting and Contacting the Museum. University of Aberdeen". 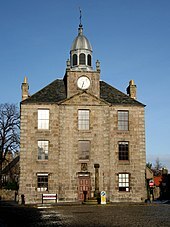 Abdn.ac.uk. Archived from the original on 13 November 2012. Retrieved 28 December 2012. ^ "The Doric Festival". The Doric Festival. Archived from the original on 1 July 2009. Retrieved 25 June 2009. ^ "The Beechgrove Garden". Tern Television. Archived from the original on 9 March 2012. ^ "Digital Radio Now, Station List". Archived from the original on 26 October 2007. ^ "Shmu community media productions". Shmufm.net. Retrieved 25 June 2009. ^ "Shmu community media productions". Shmu.org.uk. Archived from the original on 19 June 2009. Retrieved 25 June 2009. ^ "Aberdeen_Rowie". EatScotlank.com (Scotland's National Tourism Organisation). Retrieved 23 March 2012. ^ "Aberdeen Sausage". Culinary Dictionary. Retrieved 23 March 2012. ^ "Livingston named Scotland's fast food capital". ^ "Cove Rangers FC". Highland Football League. Archived from the original on 3 May 2007. Retrieved 16 February 2007. ^ "Aberdeenshire Rugby Football Club – The Community Club". Aberdeenshirerfc.org.uk. Archived from the original on 12 May 2009. Retrieved 25 June 2009. ^ "Irvine wants an Aberdeen pro-team". BBC Sport. 13 September 2005. Retrieved 25 June 2009. ^ "Scotland Rugby League". Scotlandrl.com. 20 April 2011. Archived from the original on 4 October 2011. Retrieved 25 August 2011. ^ "Golf event to swing into Aberdeen". BBC. 8 May 2006. ^ Ewan Murray (13 July 2014). "Justin Rose marks return to form with an impressive win at the Scottish Open". The Guardian. Archived from the original on 15 January 2015. Retrieved 15 January 2015. 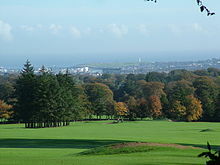 ^ "Golf Aberdeen". Aberdeen City Council. Archived from the original on 19 June 2013. Retrieved 8 May 2013. ^ "City of Aberdeen Swim Team". Archived from the original on 31 March 2009. Retrieved 16 April 2009. ^ "Dons do double by D/L". Cricket Scotland. 6 February 2011. Archived from the original on 3 March 2012. Retrieved 8 November 2012. ^ "Aberdeen City Council website". Government of the United Kingdom. 26 October 2010. Archived from the original on 6 January 2009. Retrieved 26 October 2010. ^ "Adventure Aberdeen". Government of the United Kingdom. 7 January 2010. Retrieved 7 September 2010. ^ "Granite City Roller Girls league site". Archived from the original on 2 March 2011. Retrieved 16 March 2011. ^ "Aberdeen Oilers Floorball Club". Archived from the original on 18 December 2014. ^ "Aberdeen Royal Infirmary reconfiguration". Robertson Group. Retrieved 5 March 2018. ^ "Scottish Ambulance Service Locations North East". 21 September 2003. Archived from the original on 21 September 2003. ^ "Aberdeen Lifeboat". RNLI Aberdeen. Archived from the original on 5 June 2009. Retrieved 25 June 2009. ^ a b c d e "Aberdeen's Twin Cities". Aberdeen City Council. Archived from the original on 26 November 2014. Retrieved 27 August 2015. ^ "In the Cold Wind We Smile". ^ "The XCERTS – Aberdeen 1987". Carter, Jennifer (1994). Crown and Gown: Illustrated History of the University of Aberdeen, 1495–1995. Aberdeen University Press. ISBN 978-1-85752-240-2. Fraser, W. Hamish (2000). Aberdeen, 1800 to 2000: A New History. Tuckwell Press. ISBN 978-1-86232-175-5. Keith, Alexander (1987). A Thousand Years of Aberdeen. Aberdeen University Press. ISBN 978-0-900015-29-8. Stuart, John, ed. (1871). Extracts from the Council register of the burgh of Aberdeen 1625–1642. 1. Edinburgh: Scottish Burgh Records Society. Stuart, John, ed. (1871). Extracts from the Council register of the burgh of Aberdeen 1643–1747. 2. Edinburgh: Scottish Burgh Records Society. 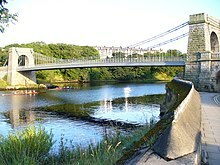 Wikimedia Commons has media related to Aberdeen. 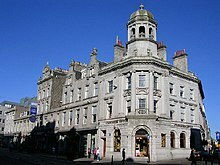 Wikivoyage has a travel guide for Aberdeen. "Aberdeen" . Encyclopædia Britannica. 1 (11th ed.). 1911. pp. 47–49. "Aberdeen (Scotland)" . Collier's New Encyclopedia. 1921.